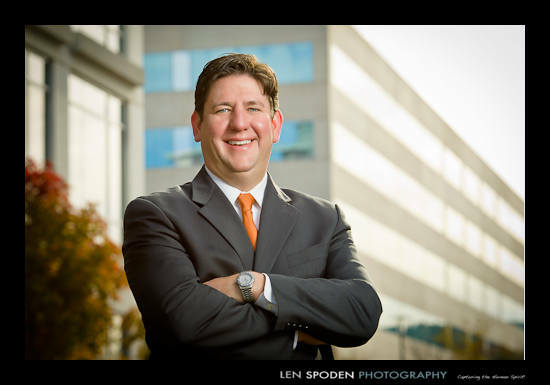 I photograph a lot of executives at a local Herndon, VA company. They prefer only environmental photographs. 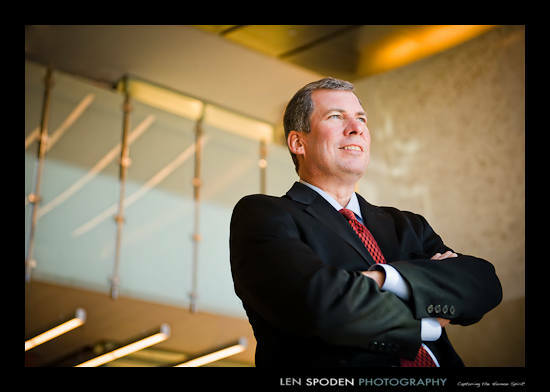 After photographing about 20 executives in an around the same building, I am always trying to make sure that no two photographs look alike. It always amazes me how just looking and moving around a very familiar site, how you can find new backgrounds and settings to make a new and fresh photograph.